Age is change on the skin over time. 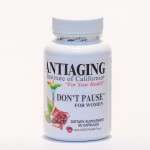 Miracle Peptide stops and reverses aging skin. Laugh lines, crow’s feet, deep wrinkles and sagging skin happens over time. We do not want to look old. We want to look young or younger with a spectacular healthy skin. 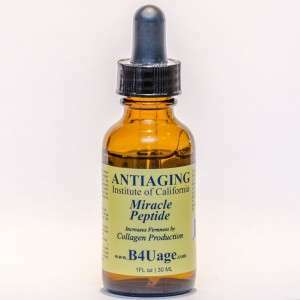 Miracle Peptide scientifically works to restore collagen and elastin and successfully combats the visible and invisible signs of an aging skin. 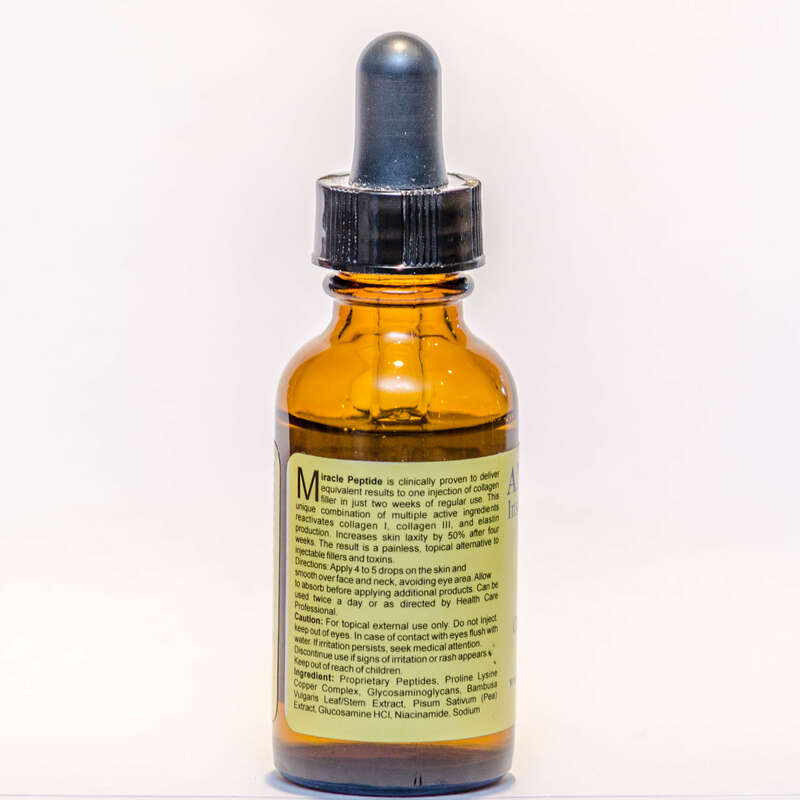 Apply 4 to 5 drops on the skin and smooth all over the face and neck, avoiding getting too close to the eyes. 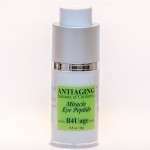 Allow to absorb before applying the Ultimate Moisturizer Cream and then your makeup. 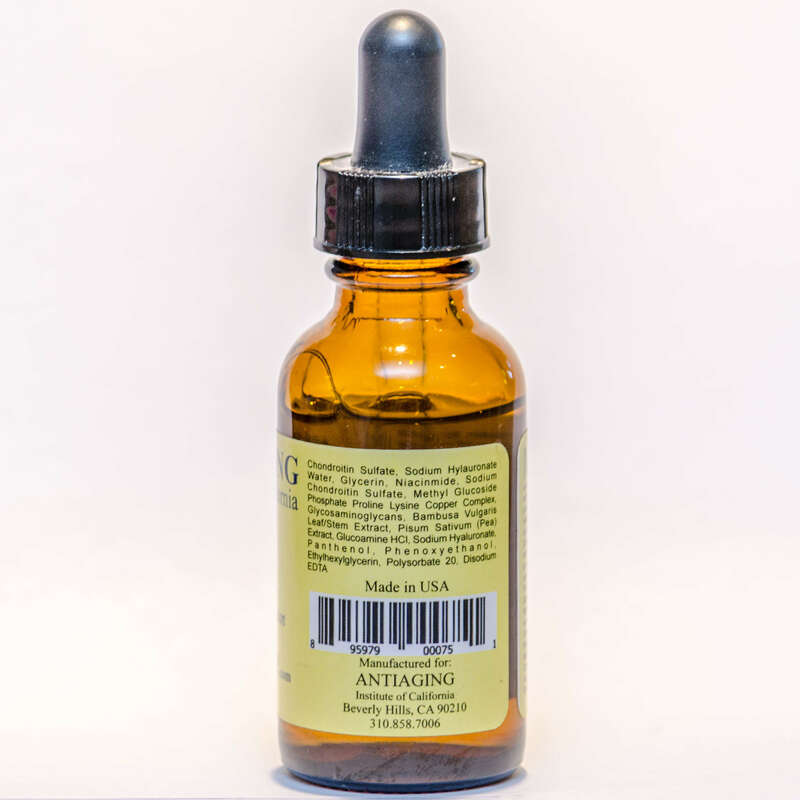 Miracle peptide can be used twice a day. Wash your face with our Honeysuckle Soap, and apply Miracle Peptide in the mornings. 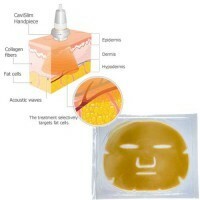 You can apply Miracle Peptide again at night on a clean face before going to bed. 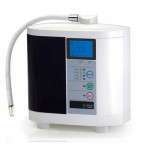 Wake up to a younger and healthier skin every day. Store in cool, dry place. Keep away from direct sunlight. Keep out of reach of Children. 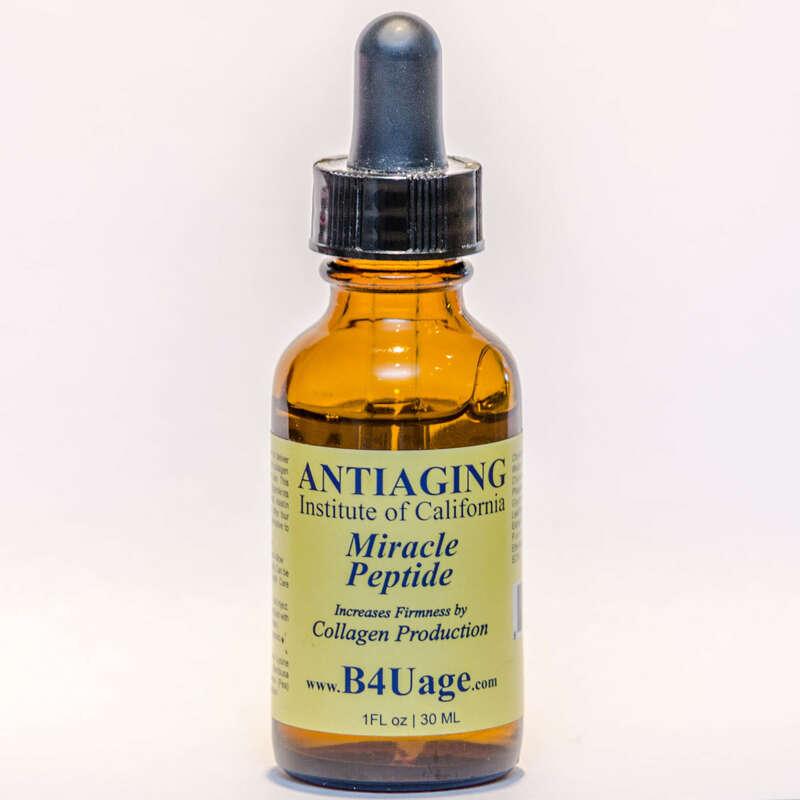 Miracle Peptide inhibits over 80% of the destructive activity of the enzymes causing skin aging.